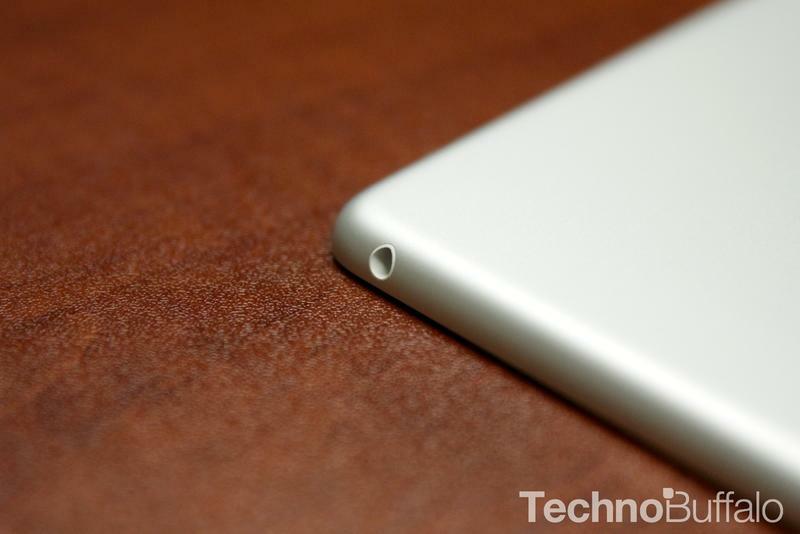 At what point did the iPad become so… underwhelming? In just over three short years, we've seen the slate go from untouchable heavyweight to wobbly challenger. A domain the Cupertino company so handily dominated is now rife with cheaper and arguably better and more imaginative competition. 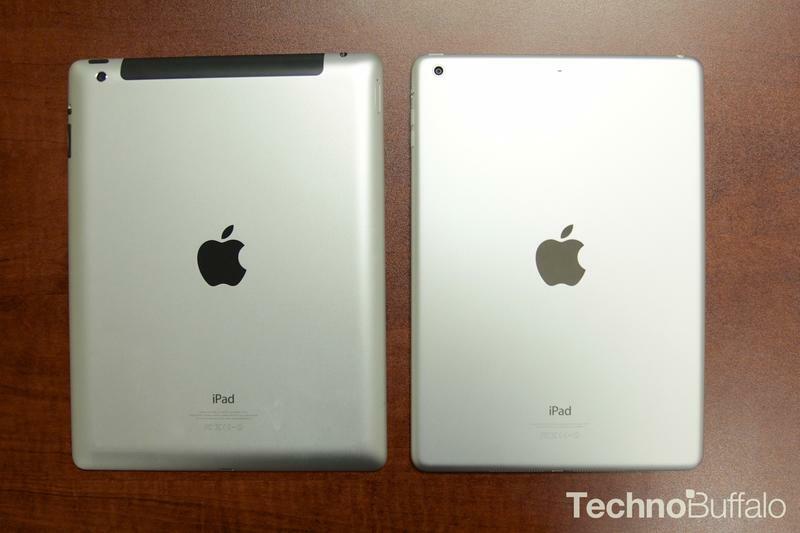 The previous two big-boy iPad models, third and fourth generations, were so largely indistinguishable that you could easily mistake them as the same exact device, underlining Apple's unwavering predictability for iteration; it's an approach that, data shows, has chinked the iPad's aluminum armor, and has ultimately lead to a general lack of industry-wide enthusiasm. The iPad Air is Apple's response. With an all-new design that's thinner, lighter and smaller, the iPad Air demonstrates Apple is ready to put up a fight. After having used the device for the past few days, there's no question the Air is the best 10-inch tablet on the market; it's easily the best iPad, too, with class-leading performance and tremendously impressive battery. At just one pound, the device is as strong and premium as ever, and is a firm reminder that Apple's slate is still the undisputed heavyweight champ. No other big tablet comes close, though with many smaller and cheaper options available, it's sure becoming more difficult to retain that belt. From the moment you hold it in your hands, it makes sense why Apple chose the iPad Air name—it also makes for easy and effective marketing, as we've seen. Apple's swanky new design, as expected, is stunning; everything is trimmed down in all the right places, creating an effect that makes the device appear smaller than it actually is. 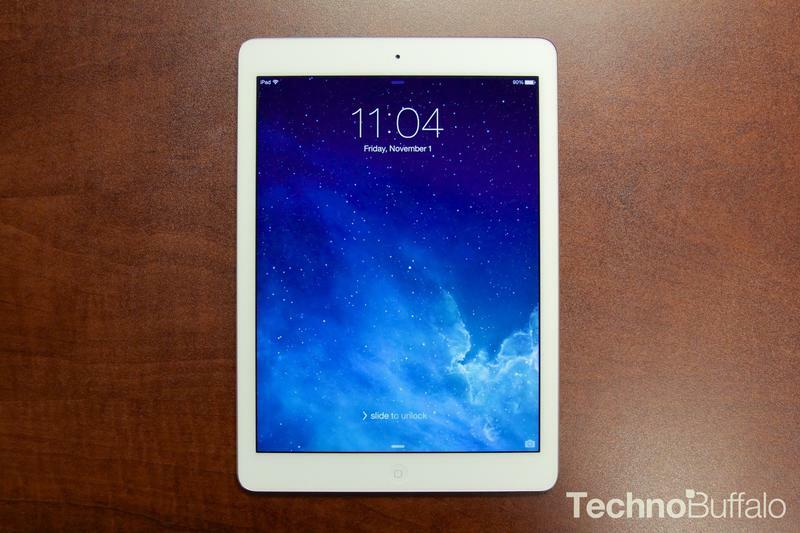 Where the previous iPad was one and a half pounds, the iPad Air is down to one. Likewise, the Air is about .07 inches thinner than the outgoing model, which is most striking when you compare the two in person. It's hard to fathom fitting so much in such a small package, but Apple's engineering talent never ceases to amaze. These changes don't translate well in pictures, let me tell you, even if the contrast in size is evident. The differences only become tangible when you actually handle an Air—then it really hits you. Try going back to the last generation, and it seems downright clunky, even a bit unwieldy—only the iPad 2, which was Apple's thinnest large tablet to date, is close to being equal. That's perhaps what makes the iPad Air design so significant: Apple shrunk a device that's typically meant to be used with two hands, and made it more bearable with just one. But the new look also freshens up what's become a rather plain design look like it's from a future lab. 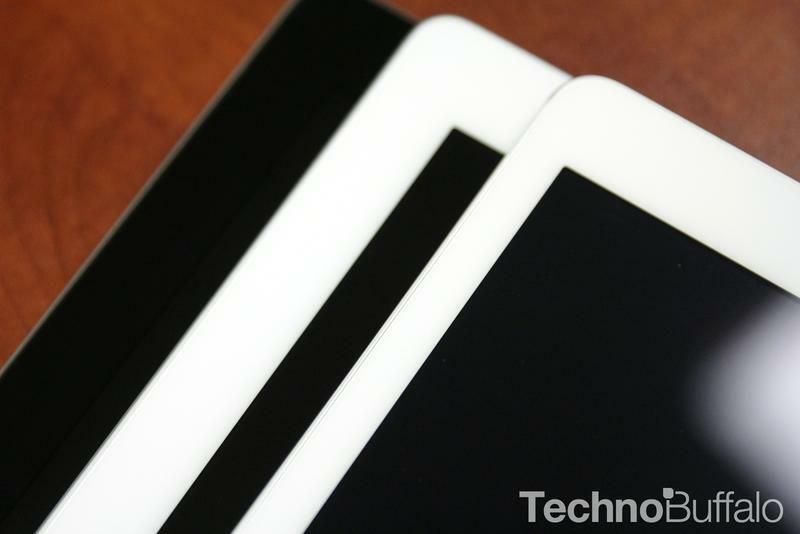 The reduction in size won't completely alter the way you handle a large tablet, but it does make a noticeable difference, like maybe those 7-inch tablets really aren't that much more portable. 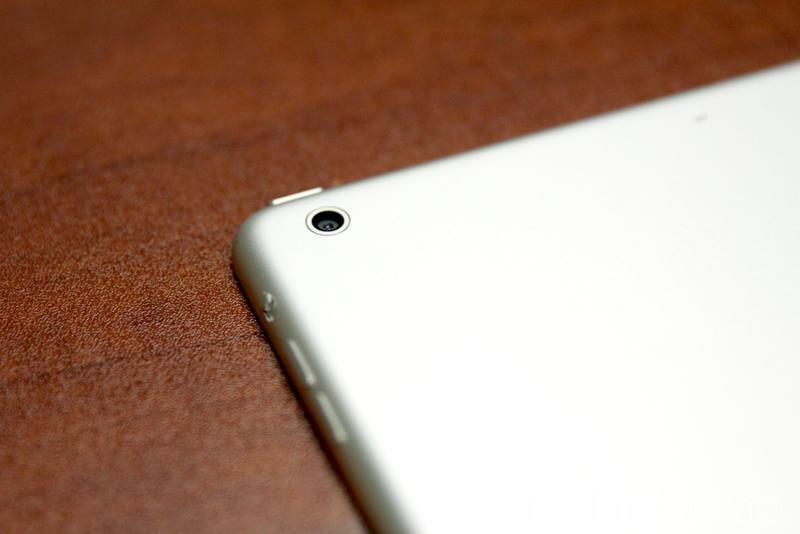 For context, this is essentially a blown up iPad mini, a design we saw coming from a mile away. On the front, Apple has slimmed down the side bezels while still retaining its famous 9.7-inch 2048 x 1536 Retina panel, which still looks stunning after first appearing in the iPad 3 a few years back. The display doesn't quite match something like a Nexus 7 or Galaxy Note 10.1, but it's still one of the best, and offers terrific touch response, viewing angles and wonderful color reproduction. Pictures, video and text look excellent, and the reduced bezels makes it feel like the screen is no longer stuck inside a picture frame; the design just kind of shrinks behind it, which further adds to the allusion that the iPad Air is smaller than it actually is, surprisingly so. 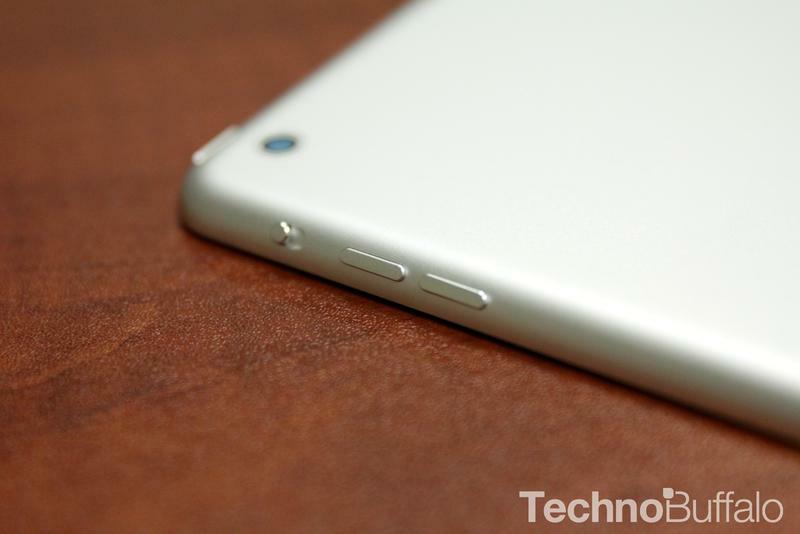 On the rear, the iPad Air adheres to the mini's more rounded off appearance, with separated volume buttons, a pair of stereo speakers, 5-megapixel camera and dual-microphone configuration. There's also an improved 1.2-megapixel front-facing camera for better-looking FaceTime sessions, and Apple's famous chamfered edges border the entire screen, creating that jeweled effect Apple engineers are so fond of. It's almost a like-for-like match of the iPad mini, design-wise, though we're not in the least bit upset by this decision. 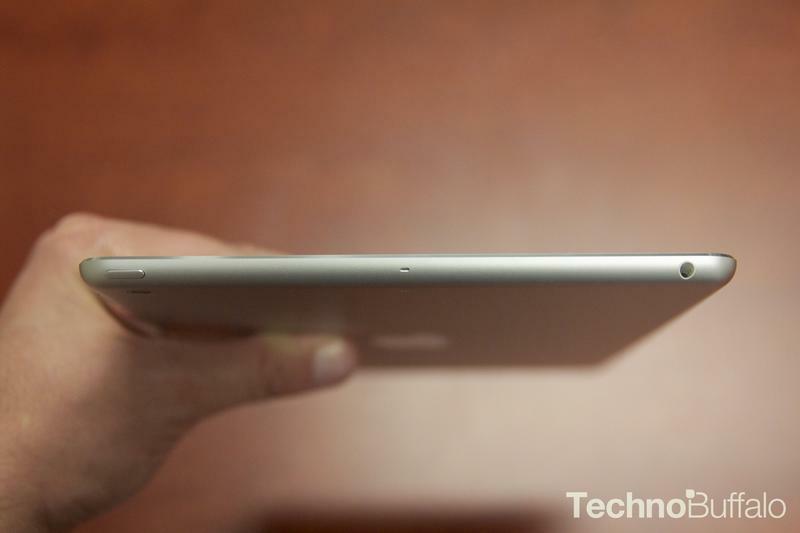 The more streamlined body translates well to the bigger size, and makes the iPad Air appear incomparably premium. Compared to the last three years, which essentially saw Apple make no change in design whatsoever—sharper screen and Lightning connector notwithstanding—the look of the iPad Air is a huge shift, and it's definitely something worth admiring. Whereas previous models were just, Ok, an iPad—same aluminum body, sharp screen, terrific performance—the iPad Air is a supremely beautiful object, like it was taken directly from Jony Ive's secret lab. It's in its own luxury class, almost as nice off as it is on. Diving further beneath the surface, the iPad Air sports Apple's swanky new A7 chip and a 32.4Wh battery, which is actually a step down in size compared to the previous two models. You wouldn't even know it, however, because battery life is still excellent—it always has been throughout the years. Without getting too scientific, I was able to watch plenty of Netflix, power through some Plants vs. Zombies 2 levels, and sift through plenty of email on a single charge. All things considered, with browsing, messaging and even snapping the occasional picture, the iPad Air easily lasted a full day's use before needing to charge. If you're going on a long trip, the Air's battery will be the last thing you need to worry about. As for the A7 chip. Well, the Air isn't just a big, beautiful face; the thing is fast. We already know that Apple's A7 processor can cook, and its power is on full display in Apple's new tab. Even with a much bigger display over the iPhone 5s, the Air's guts are more than capable of zipping through iOS 7, whether it's opening up apps or just tearing through a few games. For the most part, aside for some minor optimization complaints with iOS 7, everything is silky smooth, and looks pretty lovely on the Air's 9.7-inch display. Just as it did for its iPhones, the presence of a revamped mobile OS, combined with a fabulous new design, makes the Air feel so completely new, like the previous models are much older than they actually are. Worth noting is how different the design translates to usability. 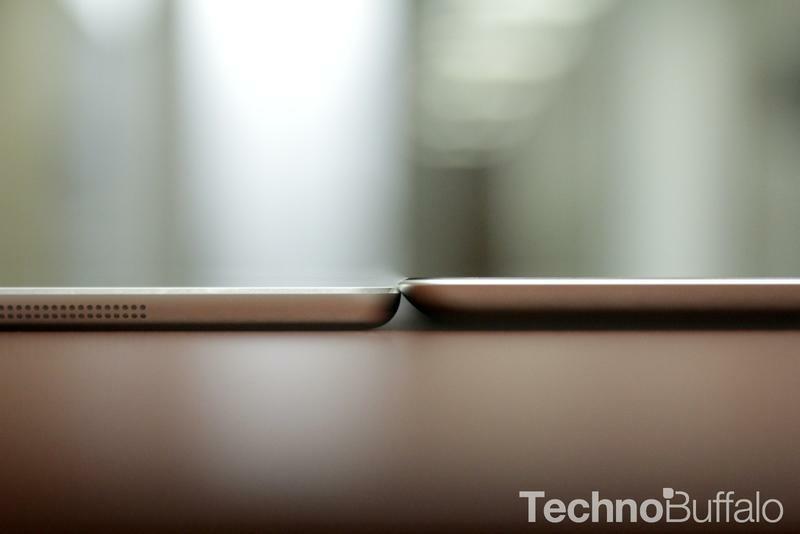 What simply appears thinner, lighter and smaller translates into a device that's also easier to use, one-handed or two. In landscape, tablets are never all that comfortable to hold with one hand, but the Air makes that possible. That might not seem like a huge deal, but when you're walking around the house with your eyes glued to an episode of Breaking Bad (and your other hand holding a beverage), you realize just how portable the Air is. This is a luxury more than anything, but it goes a long way, especially when you're not fighting off wrist fatigue after only a few minutes. The thinner bezel and reduction in size also makes typing, of all things, much easier when holding the Air in portrait. Before, typing on the device was an awkward exercise in thumb aerobics (unless you split the keyboard down the center), but now it's so much more comfortable, and actually preferable to rotating the device into landscape. When you're responding to an email or writing a quick iMessage, being able to do so comfortably, without constantly reaching, is a big deal, and very helpful for those who are constantly communicating. For how drastically different the design and software are, the iPad is still so stubbornly…iPad. Back in 2010, Apple raided the tablet space to provide consumers with a device in which to consume—and the approach today is still the same. Apple has always been clear about the iPad's purpose; the apps are there, the development is top notch, and the content ecosystem is second to none. But it's time the company began to Think Different, or at least hint at more to come. If the iPad is to keep its distance out front, it needs to start exploring new territory, which others, such as Microsoft's Surface lineup, have already started to do. At Apple's iPad event in October, the Cupertino company did actually put a few puzzle pieces in place, making its iWork and iLife apps free of charge for new iOS users. With that foundation set, combined with the rapid evolution of internal processing power, Apple has an opportunity to release the device Microsoft is so desperately trying to get right. Maybe the iPad isn't destined to fulfill that tablet/laptop hybrid. But there's no denying that opportunity exists. You get the sense that it's definitely on the minds of Apple executives, it's just a matter of the company breaking from its predictable formula and executing something new. Apple's own iLife and iWork suite run tremendously well in the mobile environment, and the iPad is more than capable of handling the more intensive workload. It'll just be a matter of whether or not the iPad goes on a path of evolution. 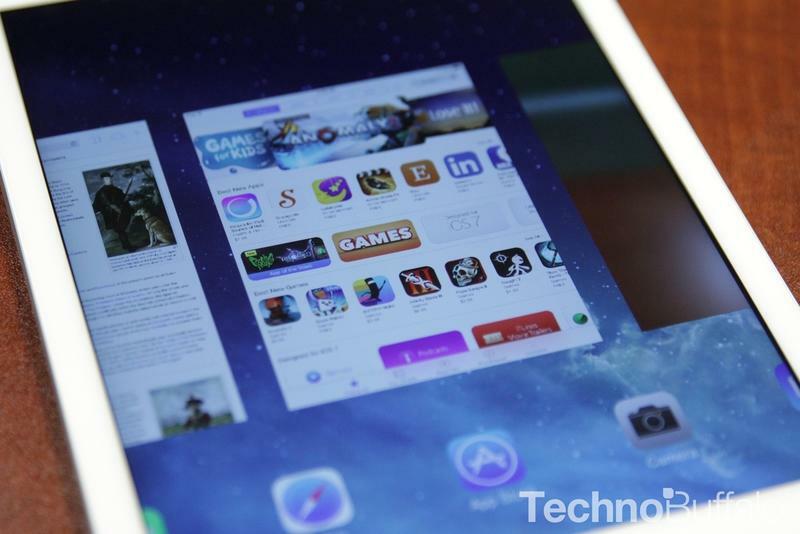 For starters, Apple needs to make the iOS 7 experience on tablets more powerful. As it stands, everything about Apple's mobile ecosystem is identical, no matter which device you choose. That's excellent for consistency, but it leaves a lot of potential on the table. 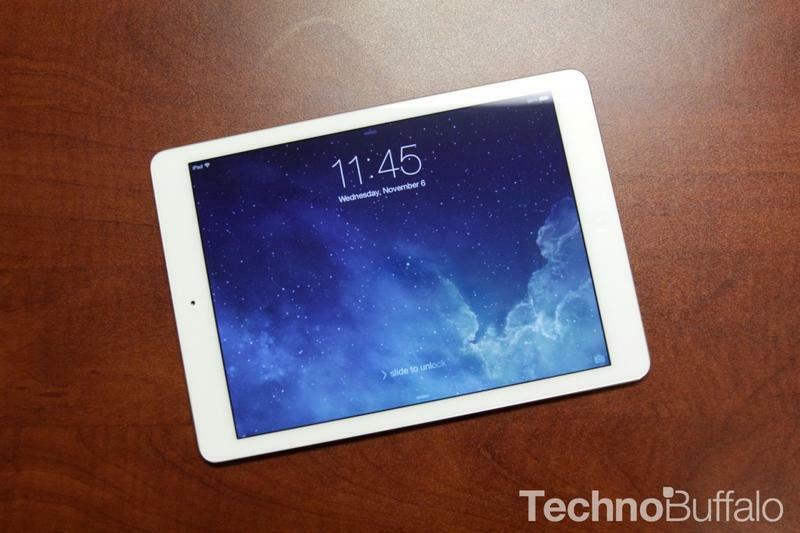 A device like the iPad Air, which super-charged guts, would certainly benefit from some iPad-specific iOS 7 features. When writing up my Surface 2 review, I found the side-by-side window feature of Windows 8.1 RT to be super useful. Why not add something like that an iPad? The experience, in a time when smartphones and tablets are everywhere, is almost offensively rudimentary, too simple for its own good. Apple is famous for making its own gadgets insanely easy to use, but it might finally be time to get more complex. 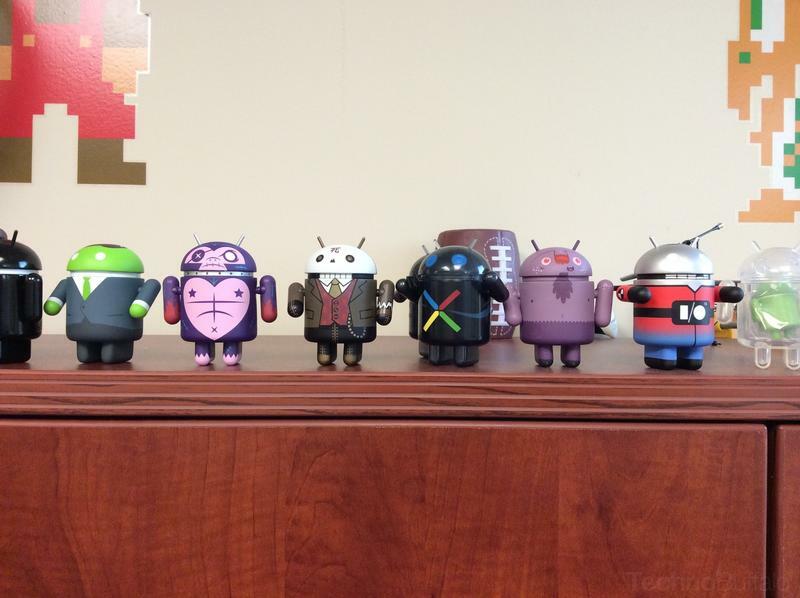 That being said, the same question arises, year after year: should you upgrade? 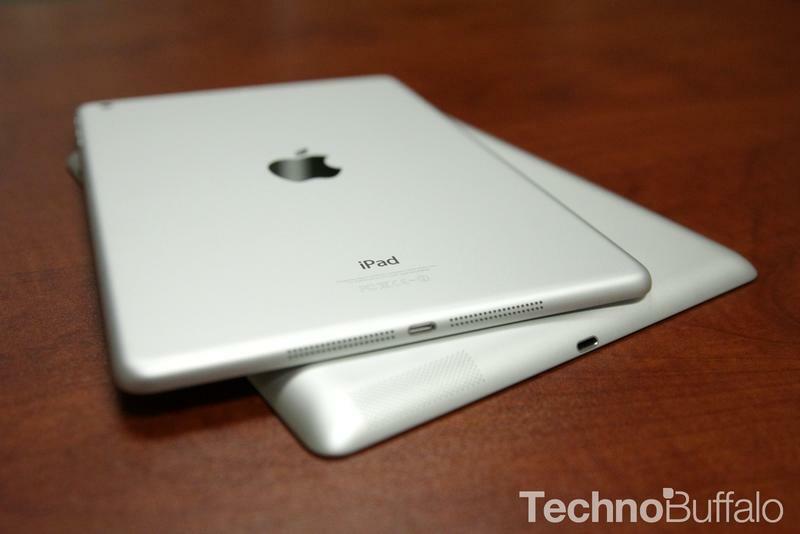 Has Apple done enough to convince existing iPad owners to buy the revamped new model? 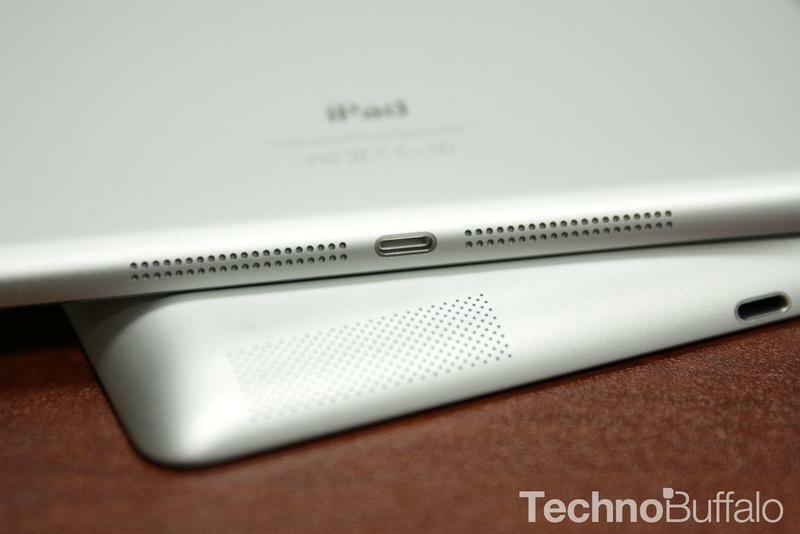 If you own an iPad 2, or even the very first iPad, absolutely. No question. The difference between the two oldest generations and the Air is night and day. 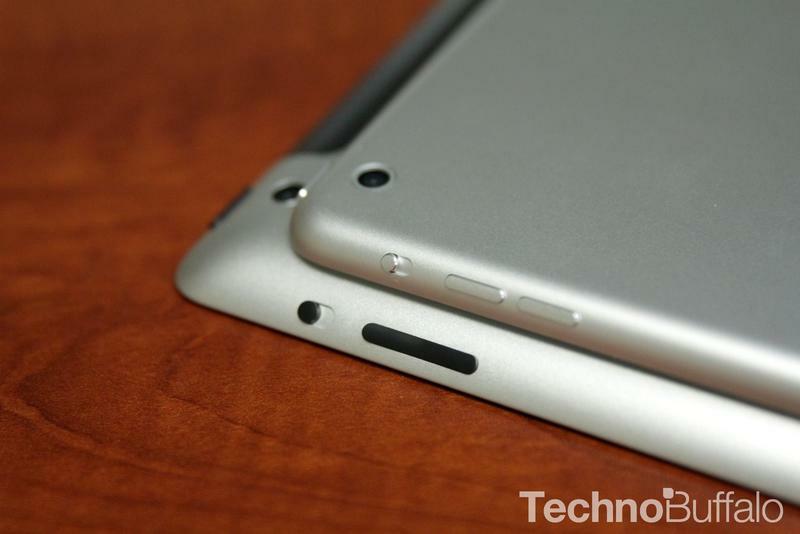 But if you own the third or fourth generation iPad, the choice isn't so cut and dry. If you basically use your device to browse the Web and watch Netflix, then Apple's previous models are perfectly acceptable. You won't be missing out on much. 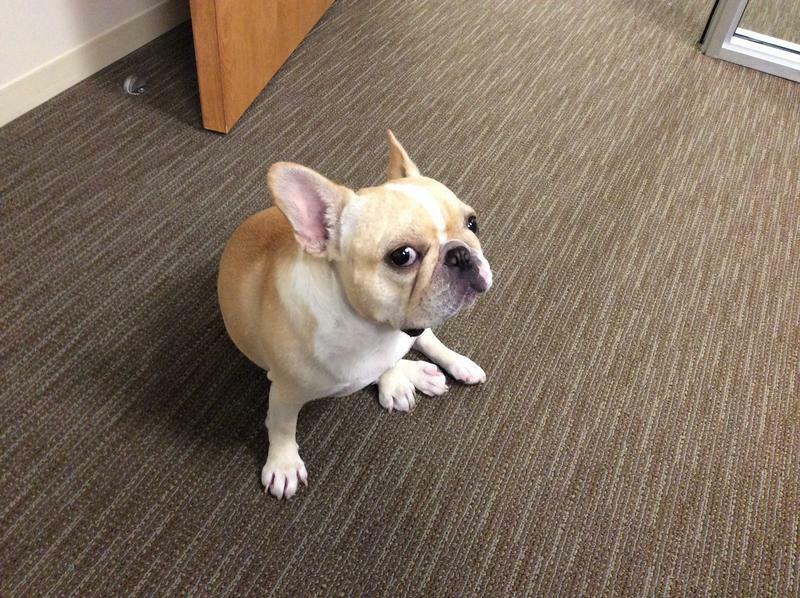 In fact, neither are particularly slow to begin with. 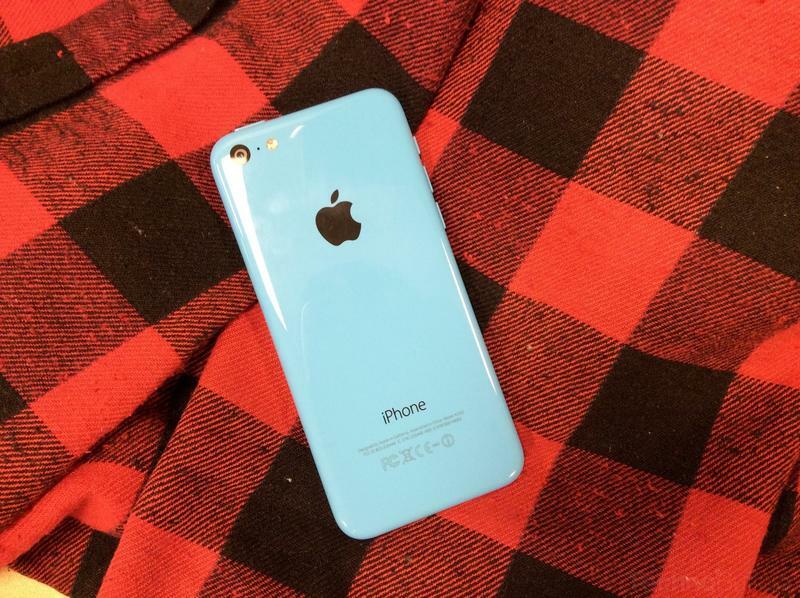 Still, you get the advantage of Apple's lightning fast A7 chip, and that silky smooth new design, too. 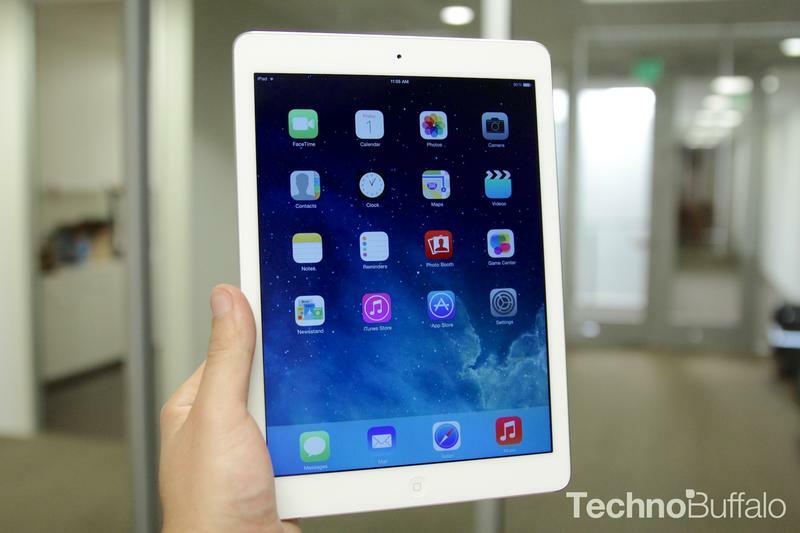 The iPad Air is a reminder why Apple has been so dominant in the tablet space. After a few indifferent years of minor upgrades (aside from the introduction of a Retina panel), Apple's iPad Air definitely is not underwhelming. 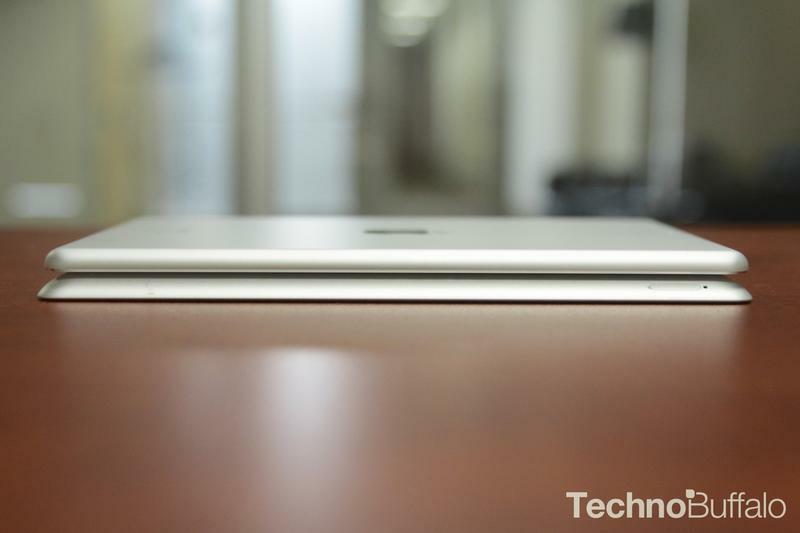 But next year, two years, three years from now, how much thinner, lighter and smaller can Apple's big tab get? There has to be a point where new territory is explored, and the iPad evolves into something completely different. 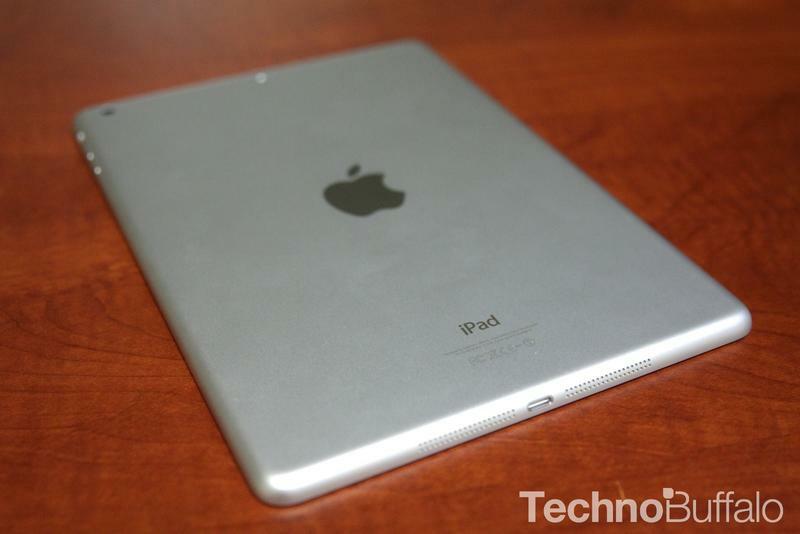 There's no doubt that this is by far the best iPad we've seen, in a body that's unfathomably small and light. If you've never experienced what an iPad has to offer—or a tablet at all, for that matter—this is the one you should buy. Apple is still charging a premium—$499 for the 16GB Wi-Fi model—but you get a lot for your money, including the most impressive tablet design ever, and a host of free iWork and iLife apps that help heighten the overall experience. No other device of similar size comes close to achieving what the iPad has accomplished, and the iPad Air is a big remainder of why Apple owns the tablet space. Jon used the iPad Air has his main tablet for five days. 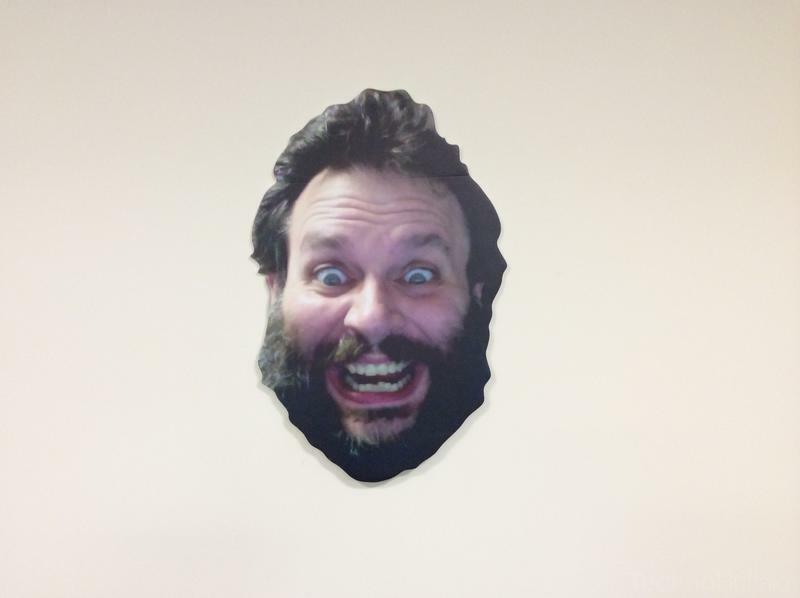 TechnoBuffalo purchased the 16GB Wi-Fi model in silver with its own funds.